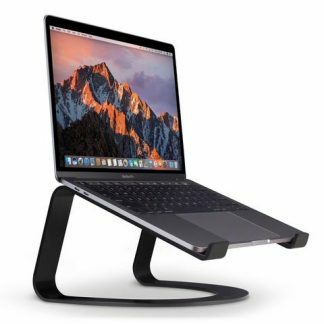 HiRise for MacBook is a beautifully designed, height-adjustable stand that elevates your laptop to a comfortable desktop. HiRise does what fixed stands can’t do. It lets you set your MacBook Pro or MacBook Air from a few inches, up to a half foot off your desk, which makes it perfect for MacBooks and users of all sizes. You’ll see HiRise as more of an upgrade than an accessory. The convenience of a laptop, the comfort of a desktop. Made exclusively for MacBook, HiRise elevates your laptop up off your desk, reducing neck strain and creating a more comfortable work setting. Perch your MacBook Pro or Air on HiRise and pair with your favorite wireless keyboard and mouse to create an ultra-comfortable, super convenient workstation. When it comes to laptop stands, one height does not fit all. You’ll see what we mean the first time you use HiRise for MacBook. This sleek, brushed metal stand has a spring-loaded stem that lets you easily raise or lower the height to the viewing position most comfortable for you. 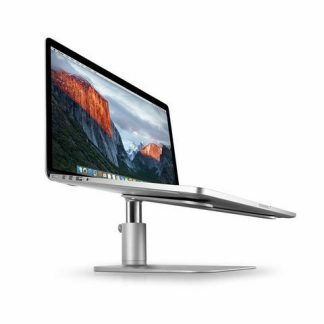 If you connect your MacBook to an external monitor, you can use HiRise to align the two for the ultimate dual-display setup. Ready to give HiRise a high-five? One stand for all MacBooks. Whether you’re rocking an 11-inch MacBook Air or a 15-inch MacBook Pro, this height-adjustable stand delivers desktop comfort. HiRise has v-shaped arms that are lined with a soft silicone that grips the base of your Mac. The arms also allow maximum airflow around your laptop. On the bottom of the metal stand, you’ll find teflon rails that allow you to spin HiRise from side to side without leaving marks on the surface of your desk. When you pair your MacBook with HiRise and an external display, you get more than dual screens — you get a gorgeous, seamless horizon to work with. 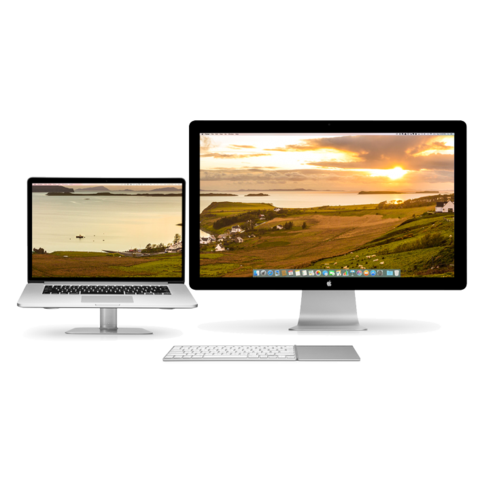 We always wanted to create backgrounds that matched up perfectly for dual displays, so we partnered with photographer Scott Gordon to create a collection of all-original, dual-screen desktop backgrounds for your Mac. They’re free to download as our gift to you.